Picking up from where 5 Steps to Paying Off Credit Card Debt (Pt. 1) left off, here, we will continue our discussion of what people can do to in order to pay off large amounts of credit card debt. By staying the course and following the handful of steps discussed in this three-part blog, you may be able to get your credit card debt paid off and, consequently, improve your credit score and your financial standing in general. Step 3 – Pay more than the minimum payment on at least one card each month. Paying only the minimum monthly payment on any debt will essentially mean that you are barely paying down the principal (if at all) because this money will just be covering the interest on the debt. Therefore, make sure that, at least for one credit card payment, you pay more than the monthly minimum payment until that debt is paid off. Even if this means you can only put $20 more towards a specific payment, this amount matters and will make a difference over time. If possible, try to pay more than the minimum payment on two or more cards, focusing on the cards with the highest interest rates first. Step 4 – Limit the amount you charge on your credit cards. Limiting the amount you charge each month is critical when you are trying to pay off your credit card debt. If you are overwhelmed by debt, let’s talk about options for relief. As you are focused on paying down your credit card debt, try to limit the amount of money you spend on your cards each month (as it won’t matter if you are paying more than the minimum monthly payments if you end up charging a lot more money to these cards each month). Only using credit cards to make small, specific payments – For instance, try only using your credit cards to pay for your utilities bill, your groceries or your gas. 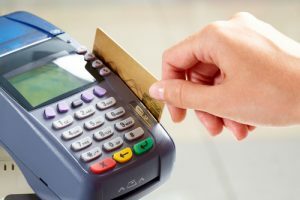 Making an effort to use cash instead of credit cards – This can help you keep a closer eye on how much you spend and may even lead to you spending less in general (as people tend to spend less and be more discerning about their purchases when they buy items with cash instead of credit). Leaving your credit cards at home when you don’t want to rack up charges on them. Be sure to look for the conclusion to this blog that will be posted soon!